Once you are done with your Website completion in all aspects in totality be it SEO, Linking, Blogging, social media and Videos then....???? Instead of sitting Analyzing in your cabin and worrying about What Next? Its Right time to get your affiliate program running on your product/services web-site. 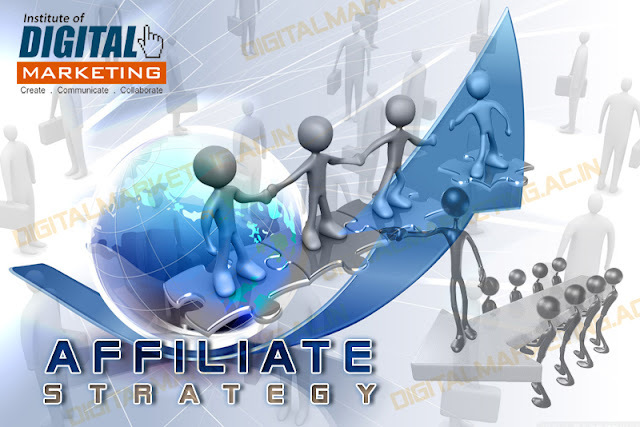 An affiliate program is simply web based Application (software) that tracks the source of referred visitors to your site through cookies and databases, and then connects with your shopping cart to calculate commissions to the referring affiliate when a visitor they referred in the past ends up purchasing your product(s). Most people you can see now are having Affiliates as an Integral part of their Marketing Strategy. one can see the online subscriptions, sale of audios/videos, Online courses and even eBooks etc been sold via affiliation. The first step in launching your program is to obtain affiliate software. affiliate programs and other software. You can expect your affiliate software to cost around $1000 plus a per month fee. While it is not inexpensive, if you can properly build and promote your program your return on investment will be many times this amount. Once you’ve purchased your software, installed it, and ensured that it works with your shopping cart and merchant account, you’ll need to decide on the level of commissions you will pay. Most programs pay between 15% and 35% of each sale. Keep in mind that the higher you pay out, the more affiliates you will attract. However, if you are losing money on each sale, it will not matter to you how many affiliates you have. Once your commissions are set, you’ll need to create banners and images for your affiliates to use. you can feelancers just by Googling or visit www.guru.com, www.smarterwork.com, or www.elance.com . You’ll also need to create a guide explaining how to link to your site, instructions on how to view sales statistics, a sign up form, and sales copy encouraging affiliates to sign up. When you have all this done and have tested everything, you can begin to promote your program. one can copy the same pattern that was deployed while having link partners. Find, locate relevant web sites and contact them via email and phone to encourage those business owners or webmasters to partner with your company. Encourage them to learn more about your program at your site. And, as always, be sure to follow-up about a week later. One often gains more affiliates on the follow-up that the initial contact. Many affiliate program owners have a great affiliate program but fail to promote it. During the eight to twelve weeks you are waiting for your search engine rankings to come in, it is a great time to promote your affiliate program. You should be able to build at least 200-300 affiliates during this time frame, depending on your product and the commissions you are offering. 3. Affiliate success Stats: determine what your overall visitor to sale conversion rate is on your site. Using this data, figure out the average payout per visitor sent to you. If you can show empirically that it makes financial sense for larger companies to partner with you, you’ll have a much easier time convincing Boards of Directors to take on the risk and establish an alliance with your company. To have larger alliances, one has to increased commission, sign contracts, guarantee minimum payouts. Act fast within the realms of Opportunity to make the most of it. This Internet business will continue to grow and expand for years to come. It will give you the financial security, satisfaction, will put you in the position to help others in need, which is the most fulfilling thing that you will ever do in your life. 4. Be Wise in use of TIME. While there are ways to leverage the resources of others, you must be able to put time into getting your business started. There is no magic amount of time that you need to spend, but I would say you need a minimum of 5 to 10 hours per week to get going. 5. Creative Ideas not Money is Vital. If you just lost your job and you have no money, and your mortgage is coming due and you have bills that need to be paid, you are NOT in the position to get started with this business. You need to invest some money into this business. Furthermore, it will take time before you make enough money each month to be able to survive. My biggest suggestion is to have another source of income while you are starting out. I was working a part-time job in a call-center when I started out. Once my business was strong enough I was able to quit that job and devote full-time hours to my business. 6. U will Grow in PATIENCE. There is no short cut to success and the same implies here too like any other natural path. Your Affiliate Marketing business will most likely not be an overnight success (with a few rare exceptions). You will not become a millionaire in the first month, and most likely not the first year. In fact, it will probably take a minimum of two to six months to get to a point where you are able to rely on your Internet business. It will most likely take one to three years to build a very strong business that will last for decades. This all requires your PATIENCE. Success will come if you are Consistent in Actions. 7. Bring out ur Latent PASSION. be ready to put your heart into this business.